We offer you safety components and characteristic safety values in the form of data sheets and a SISTEMA library. 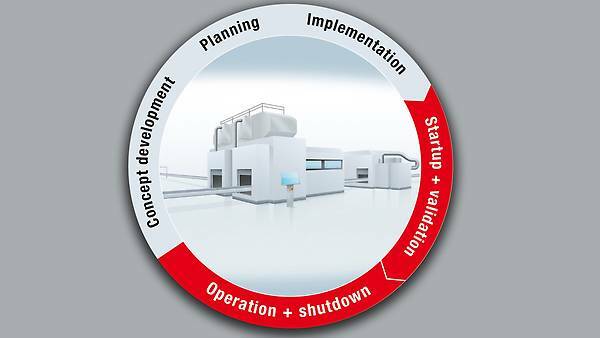 Modular safety service packages certified by TÜV Rheinland round out the services we offer. 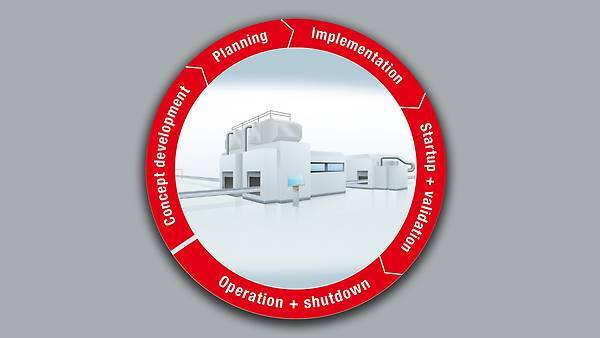 We have grouped the 16 phases of the safety life cycle of standard IEC 61508 into practical units and offer you corresponding service packages. because our safety services offer you expert advice, certified service packages and safety solutions. because our Functional Safety Management and observance of the required steps offer you legal certainty and quality. 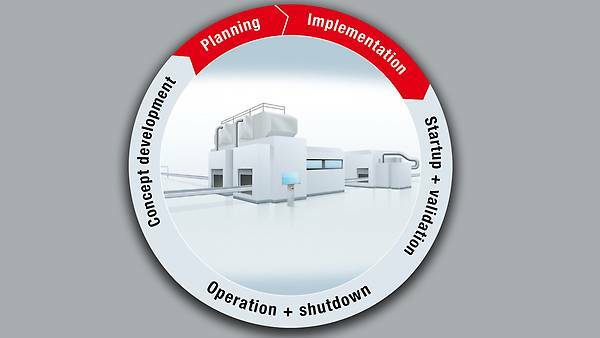 because our modular and individually adaptable safety services guarantee you safe drive automation solutions. thanks to the support of our employees who have many years of experience. 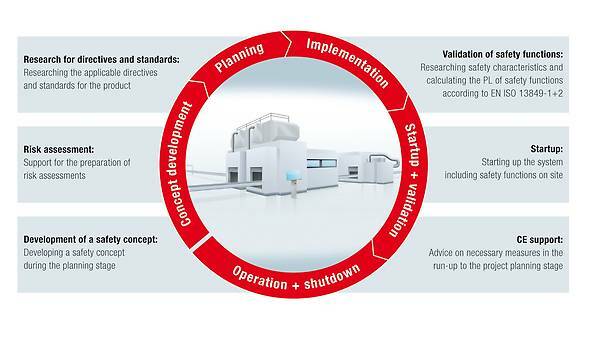 - Risk assessment for your machines, systems, partly completed machinery and components based on the research for directives and standards according to EN ISO 12100. 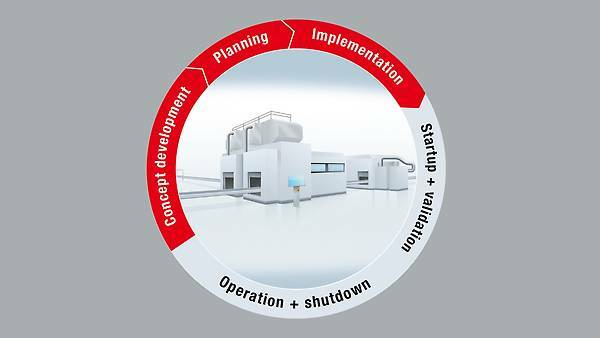 Create your own concept drawings with our Safety Configuration Library (SCL®)! 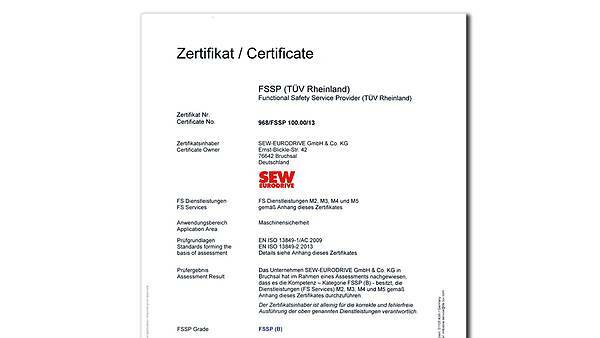 We are certified by TÜV Rheinland. 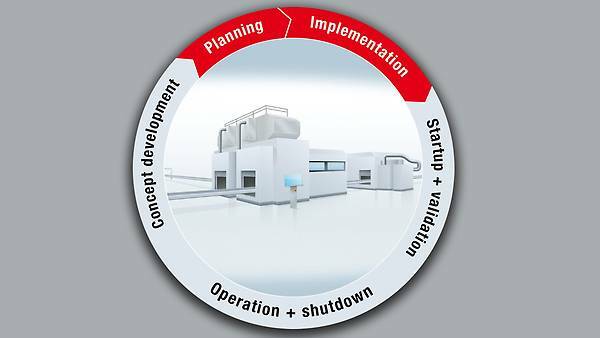 We have successfully implemented every phase of the safety life cycle together with the German Technical Inspection Association (TÜV). In addition to the components of functional safety, project planning, validation of safety functions and startup belong to the safety services for the Machinery Directive. We also offer you the support of our expert employees who have many years of experience in questions relating to risk assessment and CE conformity procedures.